Pastors Eric and Angelia White are the leaders of Bread of Life Church. Prior to their transition to North Carolina, they served as Founders and Pastors of Bread of Life Church in Cincinnati, Ohio for over 14 years. Pastor Eric currently serves as the Senior Pastor of Bread of Life Church - North Carolina and Overseer of Bread of Life Church – Cincinnati. His leadership experiences include serving in numerous positions within the church and non-profit organizations, 14 years of military service as an enlisted soldier and commissioned officer, and 18 years as a corporate leader. His education accomplishments include Bachelor and Master of Theology from Christian Life School of Theology and a Bachelor of Science from North Carolina A&T State University. Pastor Angelia serves as the Executive Pastor as she supports her husband in the daily operation of the church. Pastor Angelia earned her Bachelor of Science Degree from The University of Central Texas and has worked in education, non-profit and corporate settings. They are natives of Dunn, North Carolina and have resided in Knightdale since 2017. 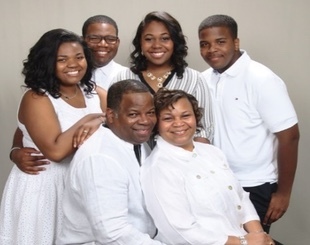 Happily married for 29 years, they are the proud parents of three beautiful children Jerrica (New York City), Matthew and wife Alexis (Cincinnati, Ohio) and Joshua (Greensboro N.C. at UNCG). 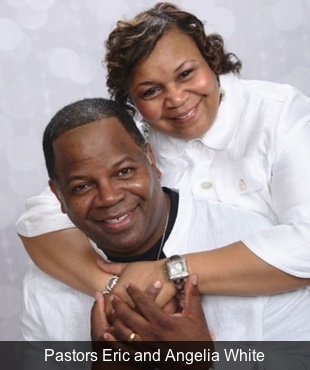 Pastors Eric and Angelia both received Christ as their Savior and Lord in 1992 under the ministry of the late Apostle Nathanial Holcomb and Pastor Valerie Holcomb. 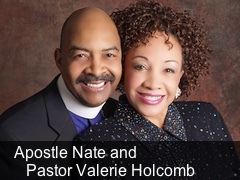 They are committed to God and connected to the legacy of Apostle Holcomb and current leadership of Pastor Valerie. They are inaugural graduates of Sonship School of the Firstborn, a leadership school of the Cathedral of Central Texas, Christian House of Prayer. Pastors Eric and Angelia's obedience to God is demonstrated in their commitment to Him, one another, their family and all of God's children. Their time spent with Him is reflected in their conduct and character wherever you may encounter them. As heirs of the grace of life together, Pastors Eric and Angelia embrace the uniqueness of who God has designed each of them to be, yet celebrating the oneness that they have as husband and wife. Because of God's restoration of their marriage, they are committed to challenging husbands and wives to submit to God's will, word and way. Pastors Eric and Angelia enjoy spending time with their three children and extended family. It is the preeminence of God in their lives that drive Pastors Eric and Angelia to share the faithfulness of God with anyone who is willing to listen. Their testimony is that God who saved, delivered, and restored their marriage and family can do the same for anyone who is willing to call upon and surrender to Him completely.